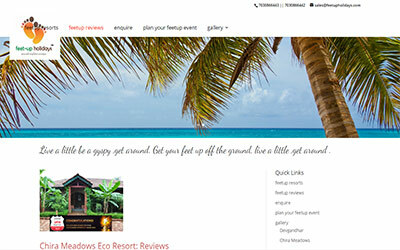 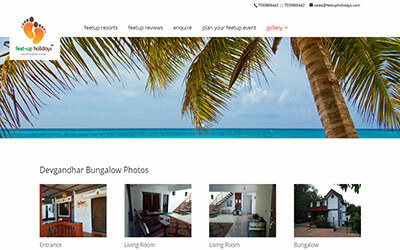 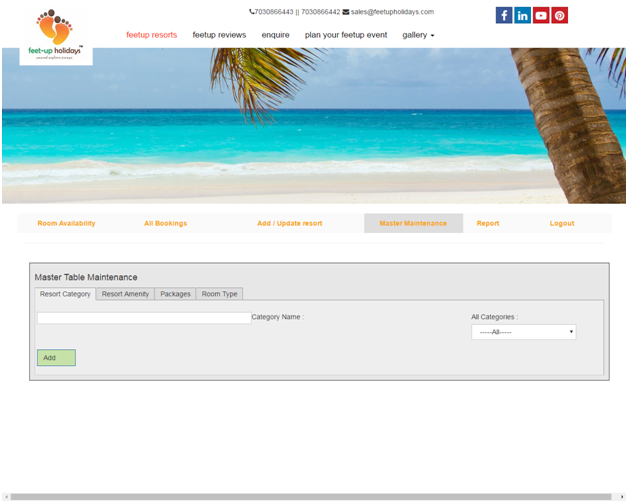 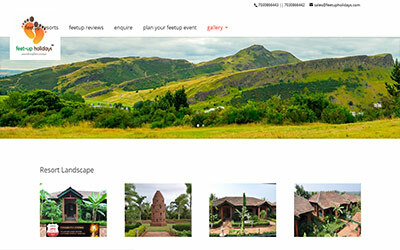 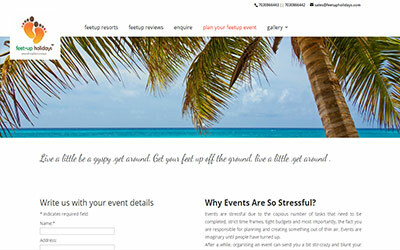 feetupholidays.com is a web application specially developed for showcasing the resorts under feetup holidays. 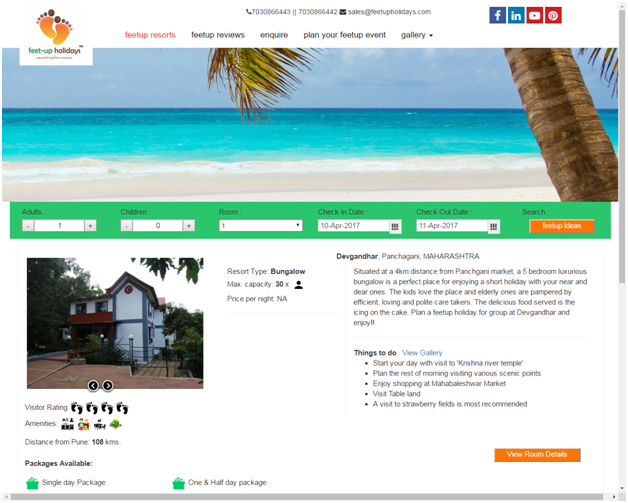 The uniqueness of feetup holidays is that, on the landing page itself the visitor gets all the required information about the resort. 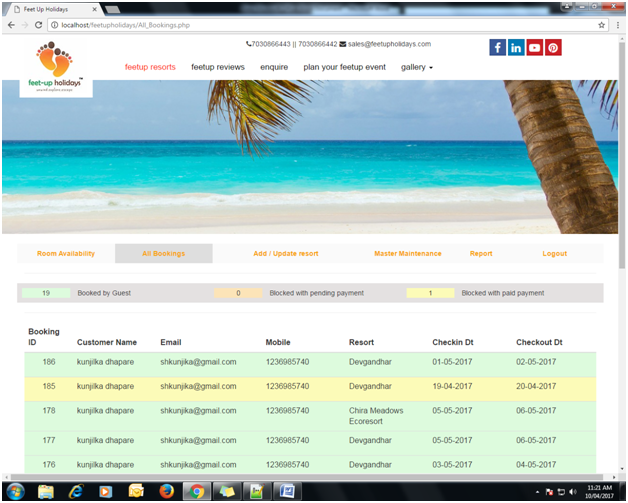 Second click takes it to the room details and bookings. The admin section allows membership management, corporate group bookings and cancellations. 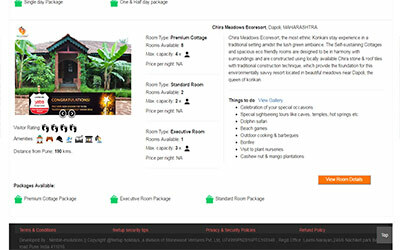 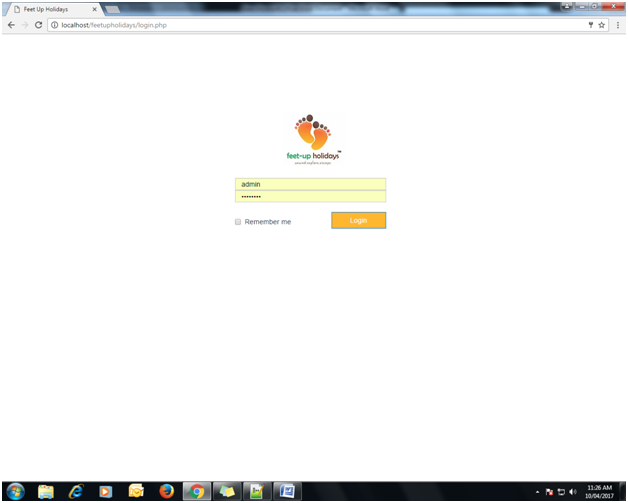 This is a comprehensive hotel management application has a clean layout. The use of icons for displaying Resort related information makes it interesting and increases the visitor engagement.